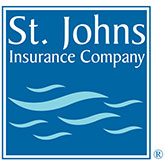 Why Choose St. Johns Insurance Company? Quality protection from a company that will be here when you need us. Whether you are looking to insure a house or condominium, St. Johns offers you the important property and liability insurance you need. At St. Johns, we realize that every policy and every claim represents a family who has entrusted us with their future. Once you join the St. Johns family, you can expect nothing less than the best. What an incredible insurance company. Our recent house fire has been handled with the care, consideration and efficiency that I never thought existed. Great job St. Johns, we are so grateful and lucky to have you as our carrier. Hi, we are new to St. John's. I have to say, at the age of 53 I have never received such a note from my insurance company both before and after a pending emergency. It's very comforting and greatly appreciated to know you guys have my back!! An insurance company that will be there for you this year, and in the years to come. Responsive claim service that never forgets the reason insurance was purchased in the first place. Honest answers and fair treatment at all times. Contact a St. Johns agent for more details.